In Disney's Descendants 2, Mal discovers that Ben's love is true at the Royal Yacht Cotillion. 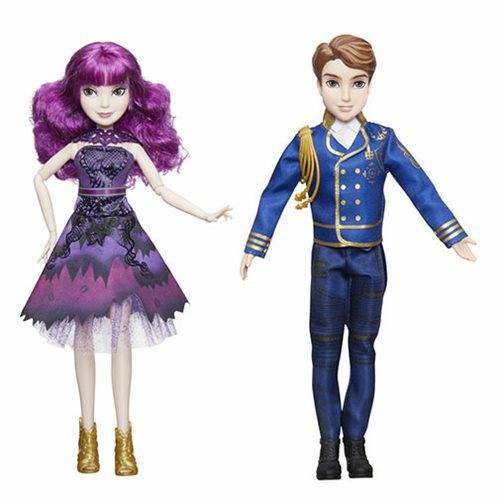 Inspired by our characters in love, these Mal and Ben dolls come decked out in styles fit for fondness! Mal of the Isle of the Lost doll comes in a short party dress version of her wicked purple gown with matching heels and is accompanied by the regally dressed King Ben of Auradon. Includes 2 dolls, 2 outfits, 3 accessories, and 2 pairs of shoes.